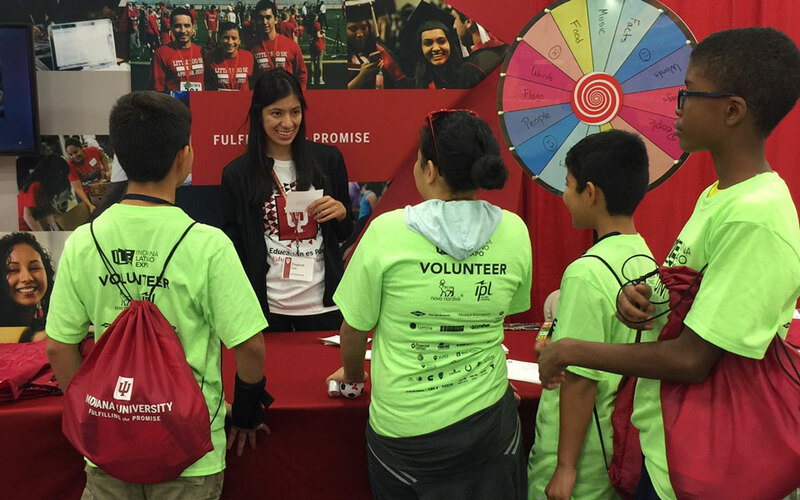 Indiana University’s participation in the fourth annual Indiana Latino Expo was a success, as approximately 300 attendees flocked to IU’s booth at the event to seek information on the 21st Century Scholars Program. 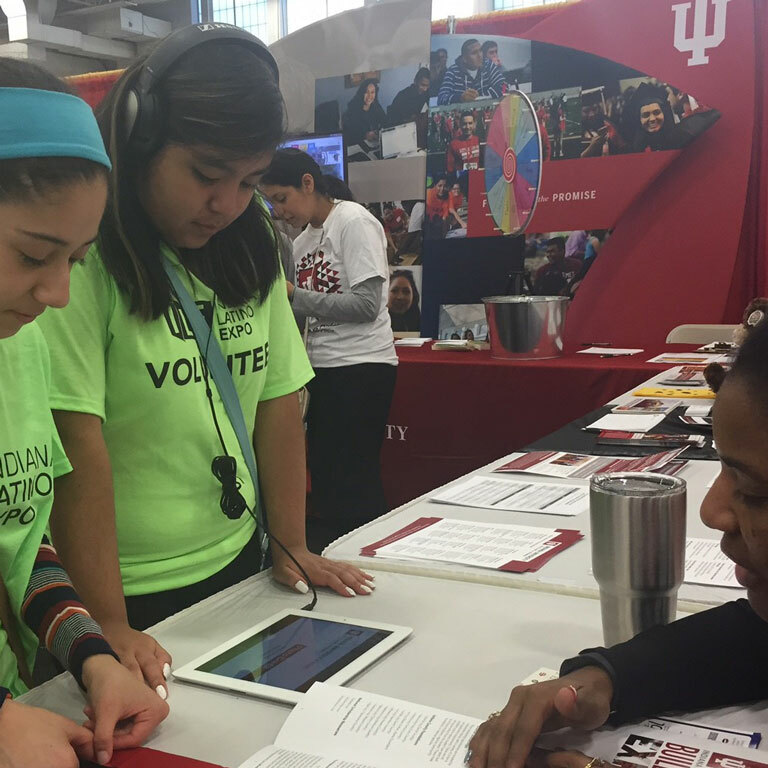 “We were honored to again play a role in the Indiana Latino Expo, allowing us to increase awareness about the 21st Century Scholars Program and demonstrate the opportunities at our campuses for students of all backgrounds,” said James Wimbush, IU’s vice president for diversity, equity, and multicultural affairs and dean of IU’s graduate school. 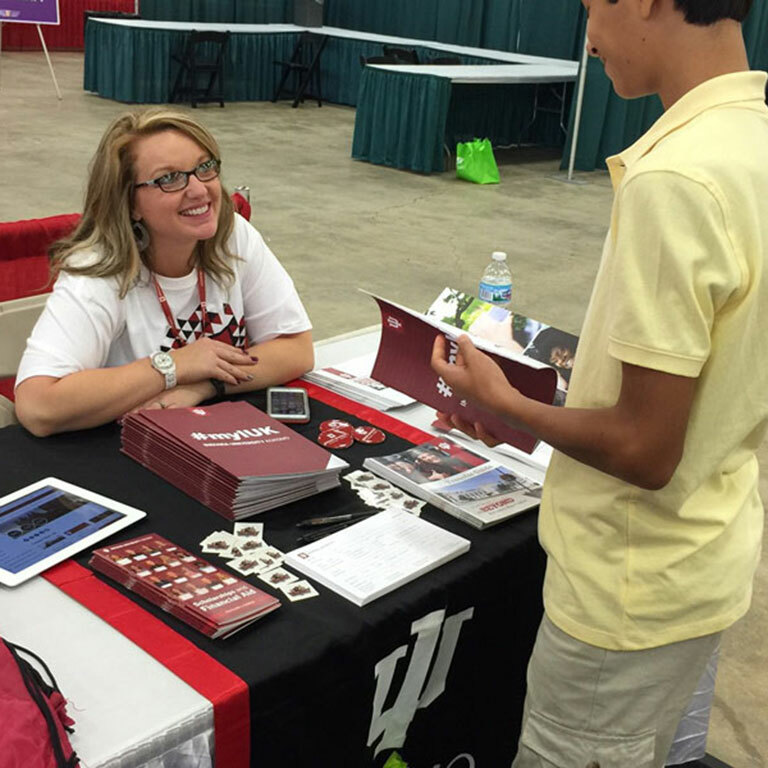 Held October 7 and 8 at the Elements Financial Blue Ribbon Pavilion on the Indiana State Fairgrounds in Indianapolis, representatives from the IU Bloomington, IUPUI, IU East, and IU Kokomo campuses were available to answer visitors’ questions. People were aware of the value of the program, and how it makes college affordable for families across Indiana. It was a great atmosphere. IU hosted 21st Century Scholars Day on the second day of the event, giving prospective students the opportunity to register for the 21st Century Scholars Program, a four-year, full-tuition scholarship for qualified Indiana residents. In addition to the IU campuses represented at the event, staff from the 21st Century Scholars Program, IU Admissions, Community and School Partnerships, the La Casa Latino Cultural Center, and the Office of the Vice President for Diversity, Equity, and Multicultural Affairs (OVPDEMA) were on hand to provide specific information to interested participants. Approximately 300 students and their families stopped by the booth, with some taking a virtual tour of IU, which fulfills an 11th-grade requirement, while many visitors chose to “spin the wheel” to test their knowledge of Latino cultural figures and history. Also among those who stopped by IU’s booth were Indianapolis Mayor Joe Hogsett and Venezuelan Latin R&B boy band Boogaloo, one of the musical acts that performed at the event.